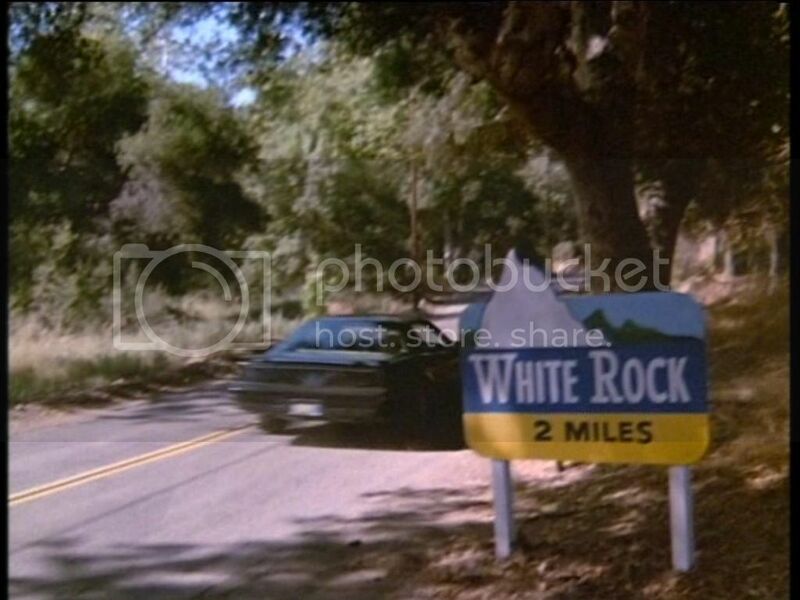 Welcome to the Good Day at White Rock locations thread! 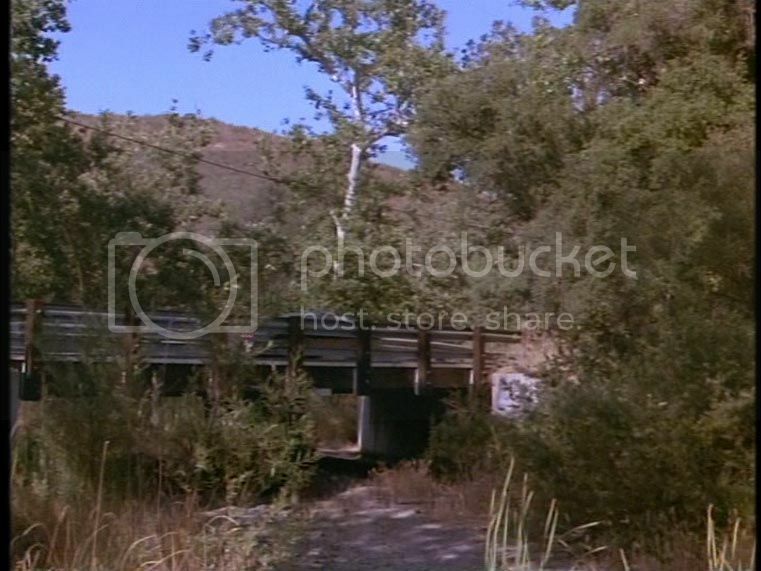 I'm not sure if these locations have ever been posted (search brings up nothing, and the prospect of skimming through the locations thread... again... fills me with dread ), so apologies if they ever have. 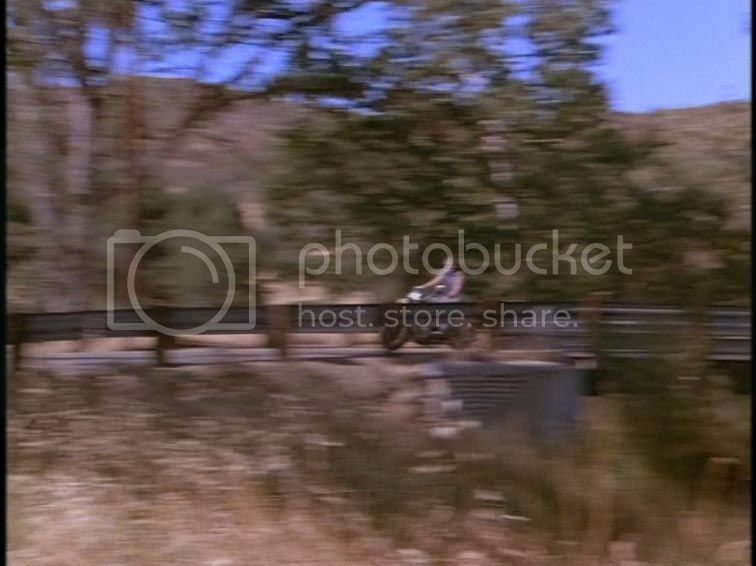 Looking on Google Earth, this episode was filmed all over the place, the Universal Backlot, Newhall/Valencia Indian Dunes, Stoney Point Park Chatsworth and North Hollywood. 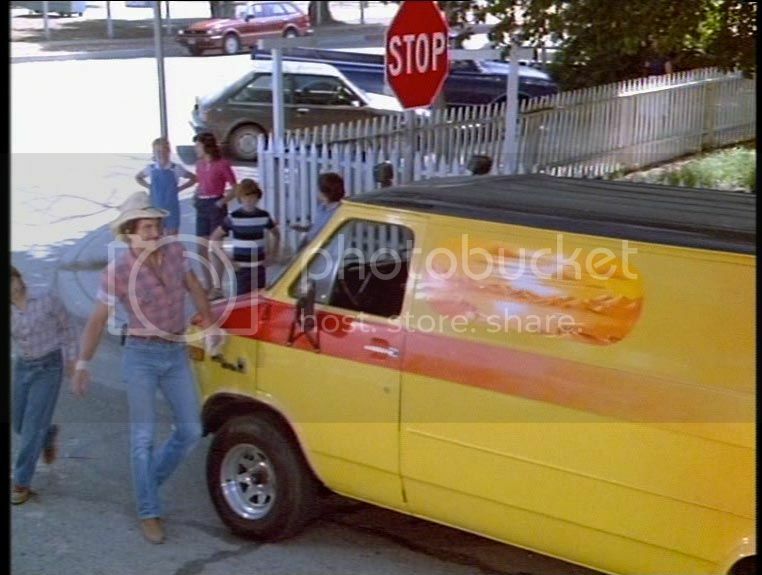 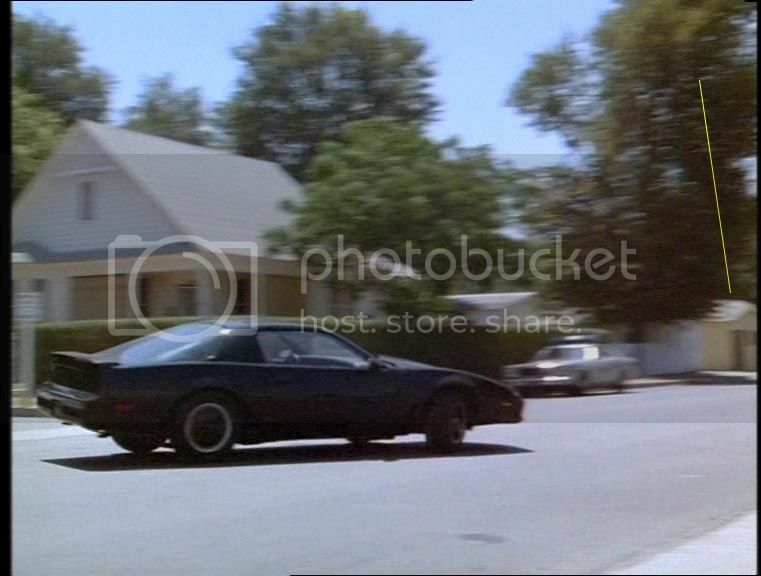 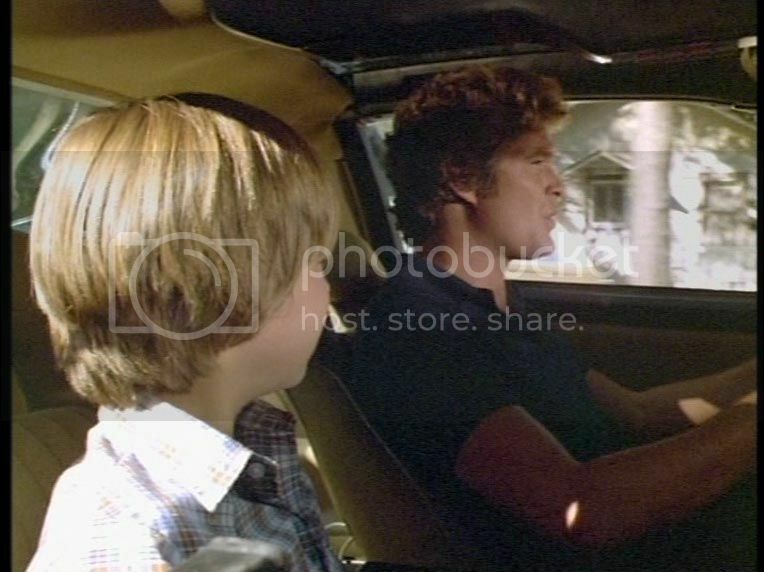 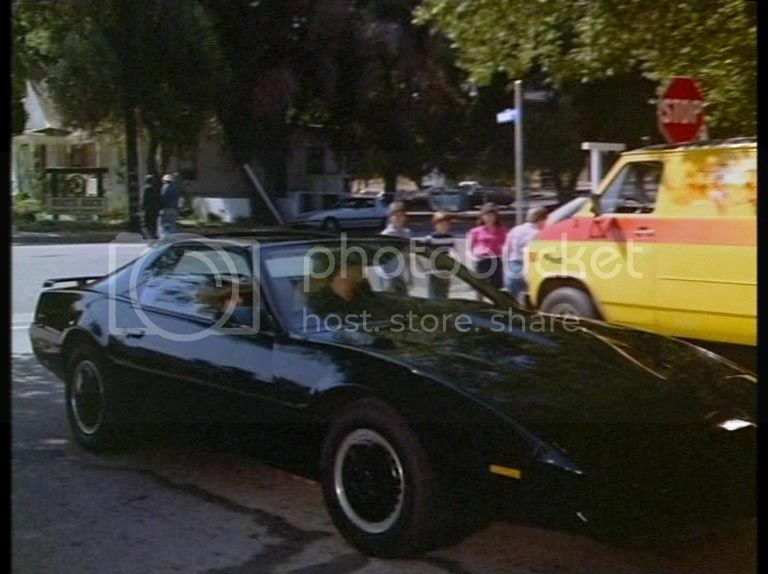 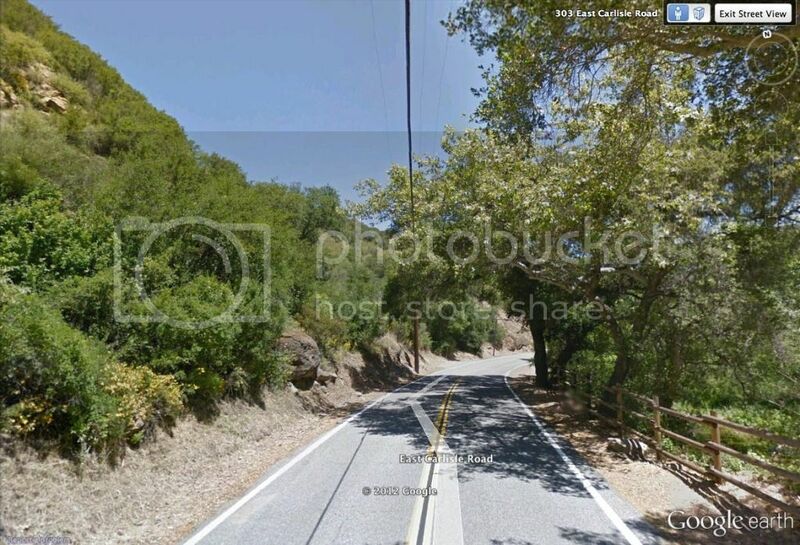 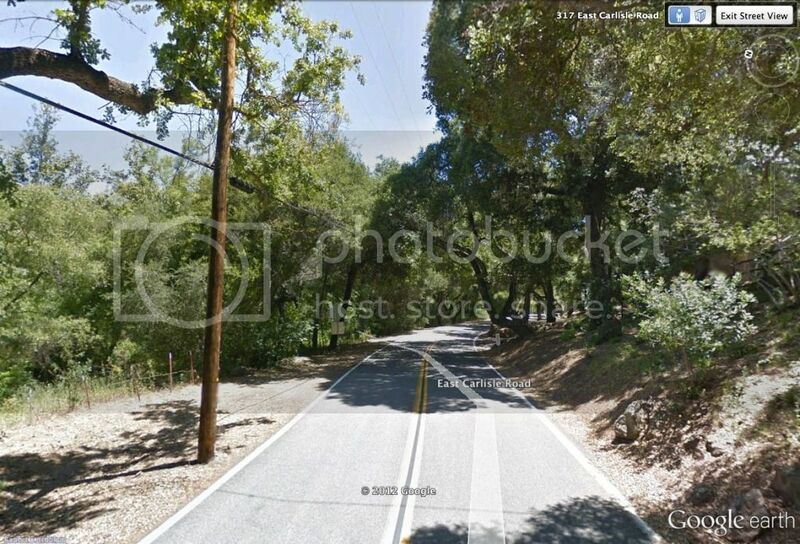 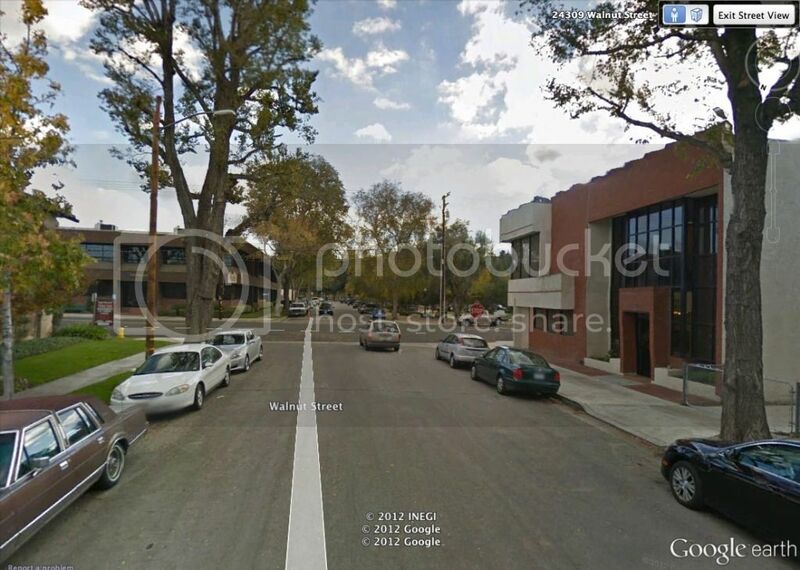 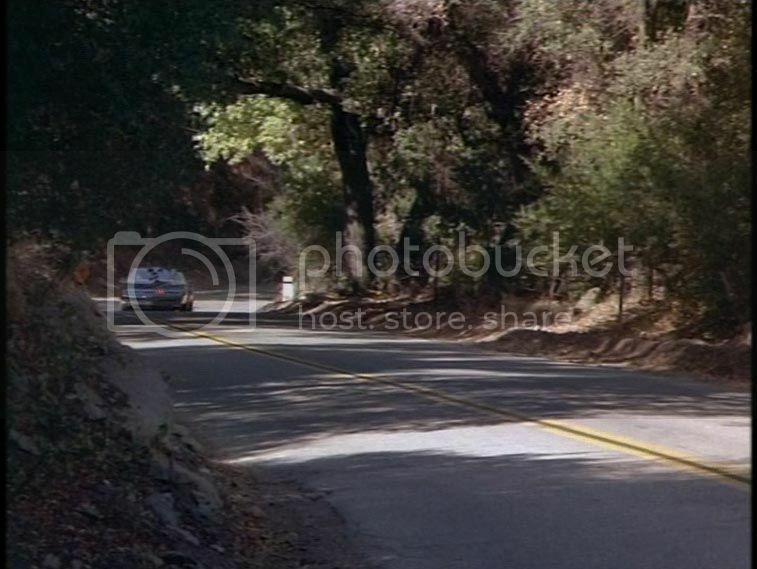 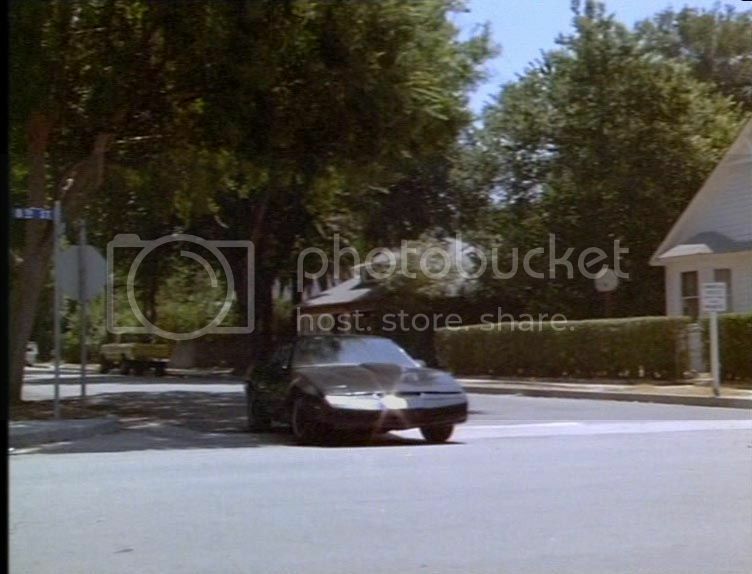 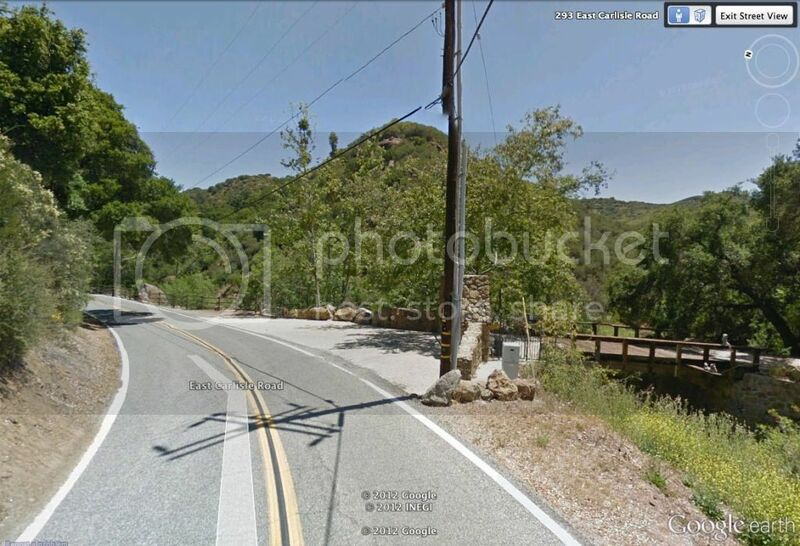 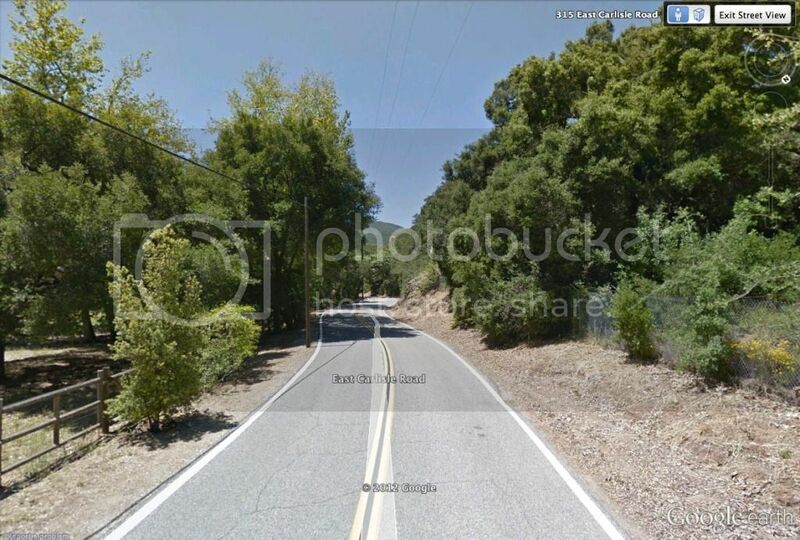 The scenes where we see Michael & KITT driving to White Rock, and the scenes later on of the motorcycle gang chasing them on the road were filmed on 'East Carlisle Road, Westlake Village'. 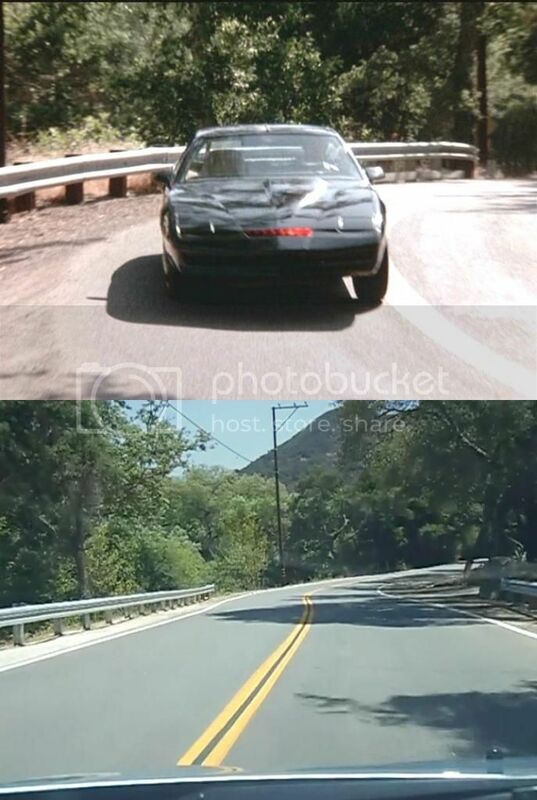 Interestingly, a quick cut scene of Michael & KITT driving over the bridge also appears in the pilot. 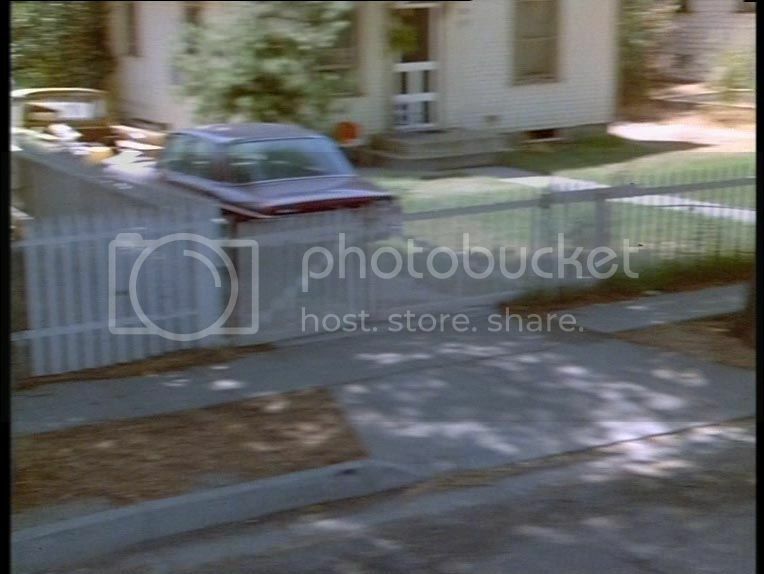 I'd been looking for this location for a little while with no success, until on closer inspection of a couple of scenes, I noticed some street signs. 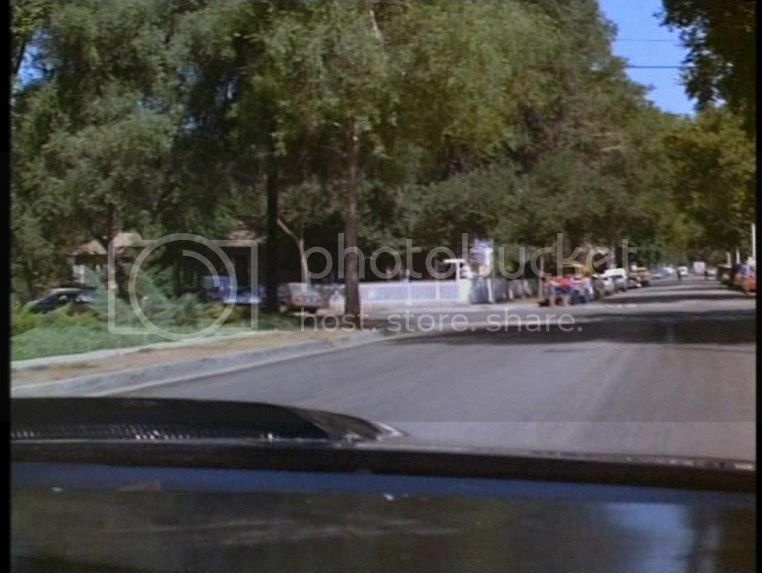 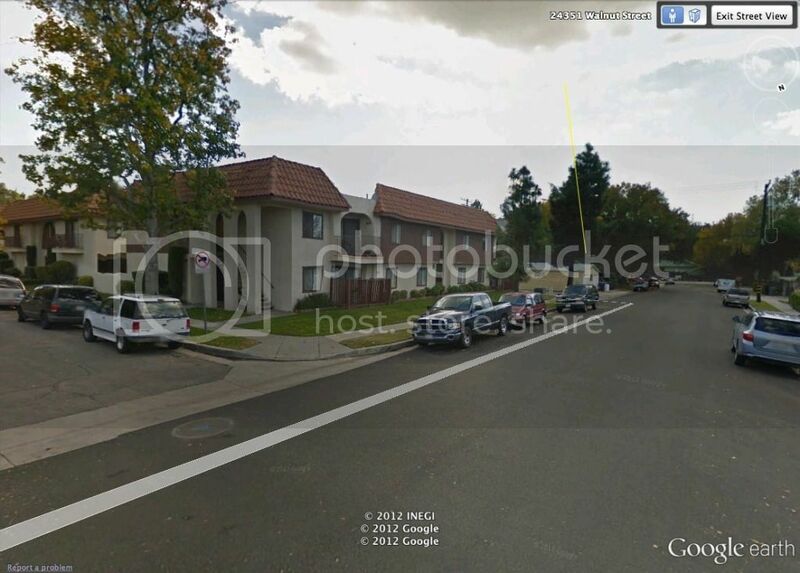 In the scene where Big Lonny's van is being vandalised, we catch a glimpse of a street sign for a 'Market St', however when scouting on Google Earth, only a handful of 'Market Street's' came up, one of which was for a location in Santa Clarita, because the area had changed beyond all recognition, and because initially the geography didn't seem to match up (hills in the background etc) , I discarded it as a potential location, and as none of the other 'Market Street's' matched up either, I decided that perhaps the sign was simply a product of the art department. 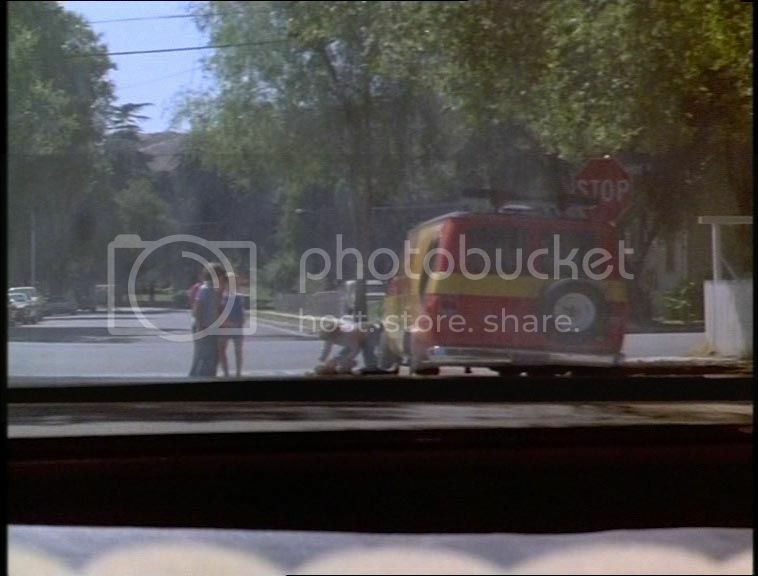 However, I did notice that during the '"illegal u-turn" scene a little earlier, a tantalising blurry street sign can just be made out, the sign was too short to be a name, which narrowed it down to a number… to me it looked like either a 6 or an 8… and what do you know, a quick Google Earth for 8th St and boom… took me straight to 8th and Market… Santa Clarita, right to the location I had previously discarded. 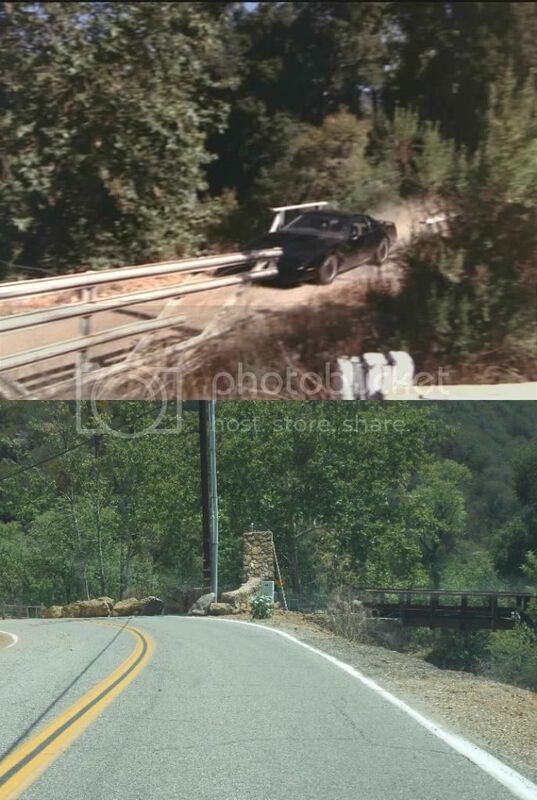 A proper comparison to the scenes indeed confirm that this is the location of the scene where Michael & Big Lonny almost come to blows, as well as the van vandalising scene, the scene of the illegal u-turn and the end scene where the Sheriff & Big Lonny tie the rope across the road in a failed attempt at mass decapitation. 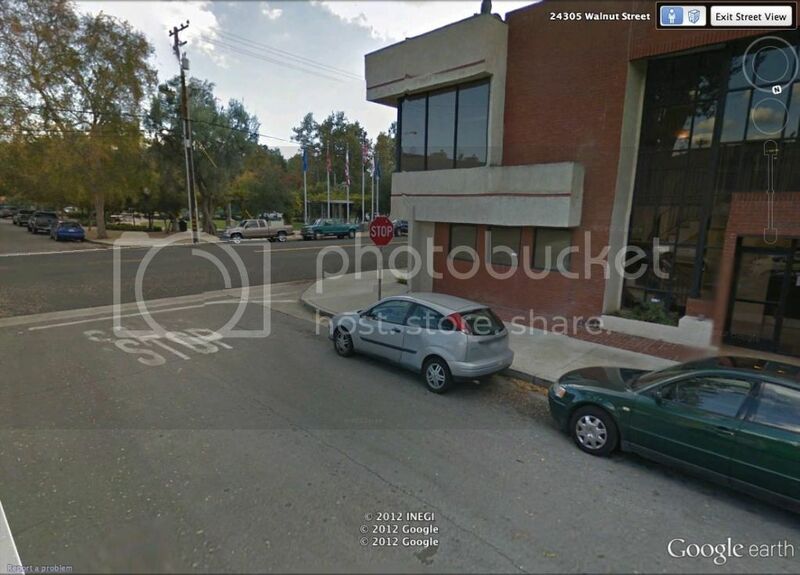 The 'White Rock Chamber Of Commerce' & Big Lonny's house have both be torn down, a small park now resides on the site of the former, and a small office building on the latter. 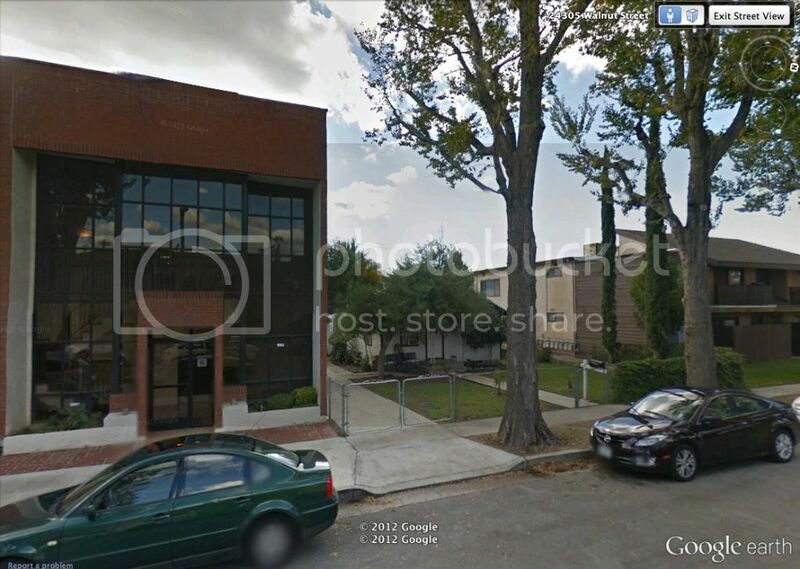 However the house next to Big Lonny's survives, as does the tree that Big Lonny ties the rope around. 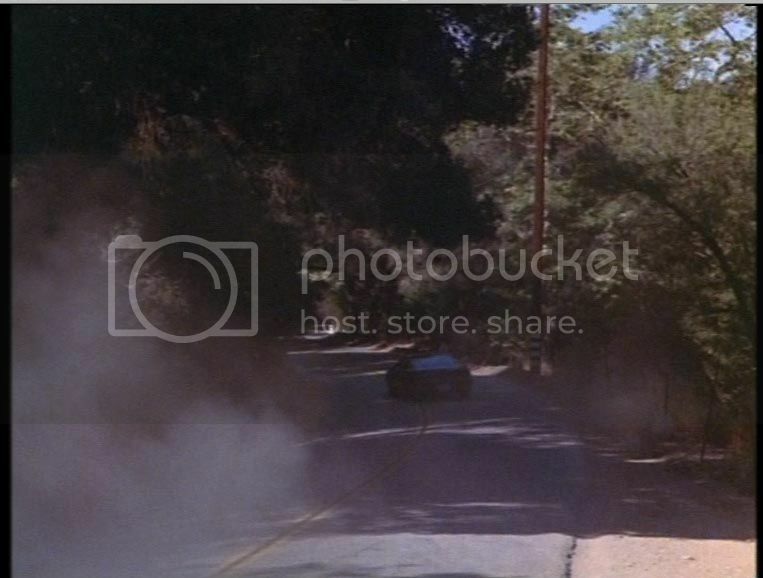 The Tree... Off With Their Heads! 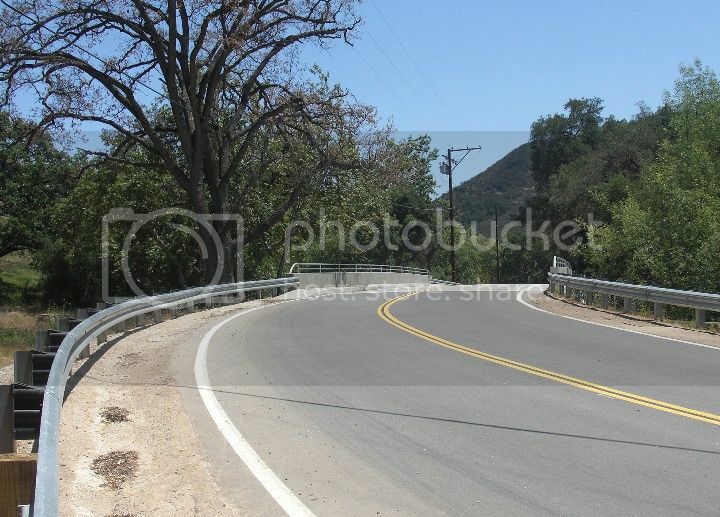 Thanks iGav for revealing the route to White Rock. 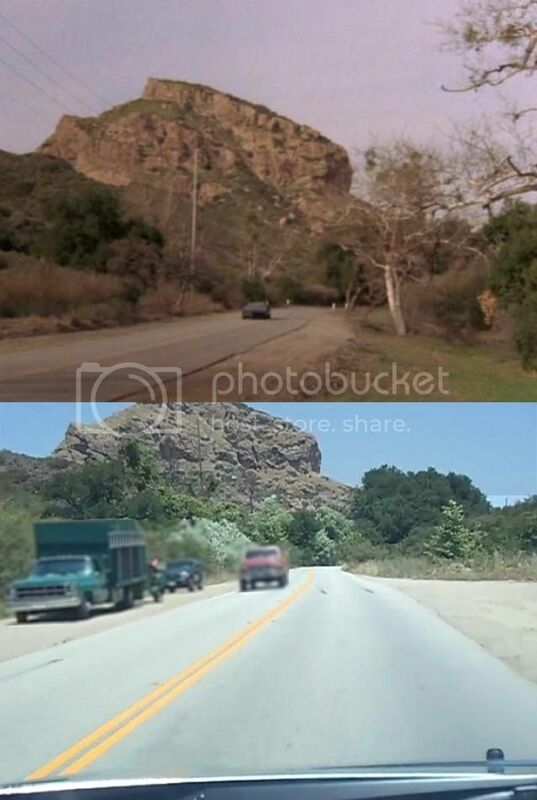 It was the first place I wished to visit when I started searching KR filming locations. 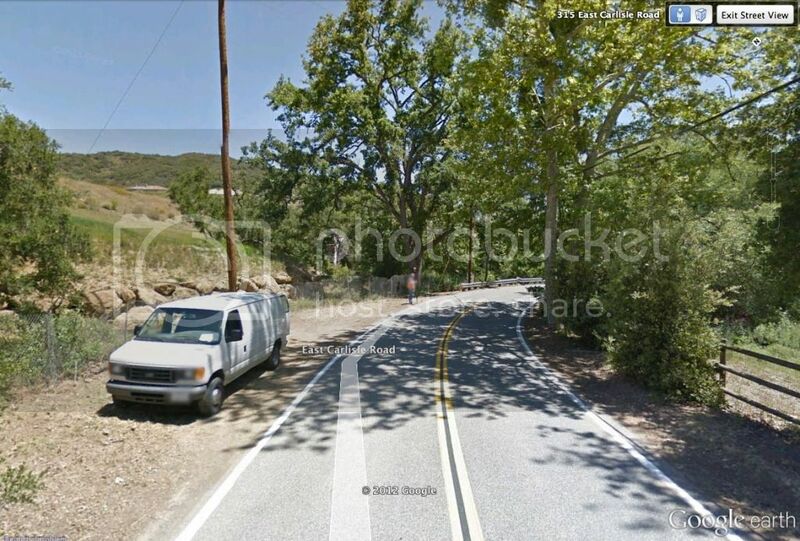 I finally took a 'vacation' to drive on the same route years later! 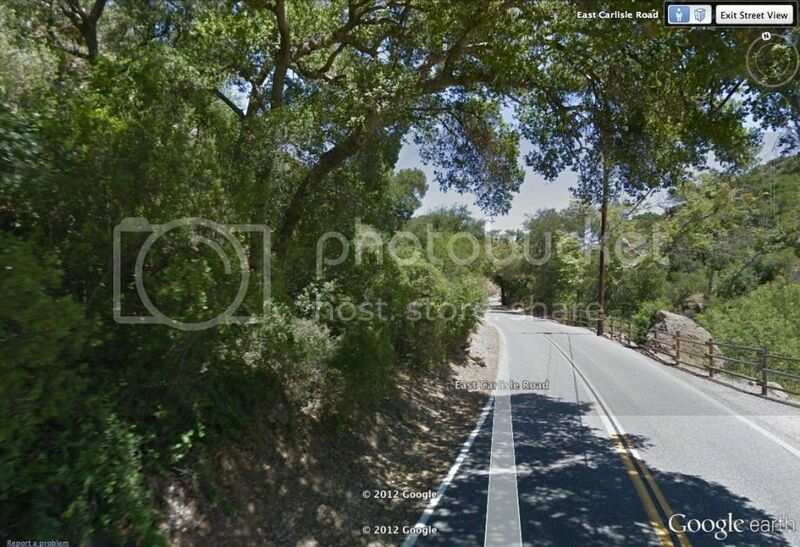 This is the first scene on the route. 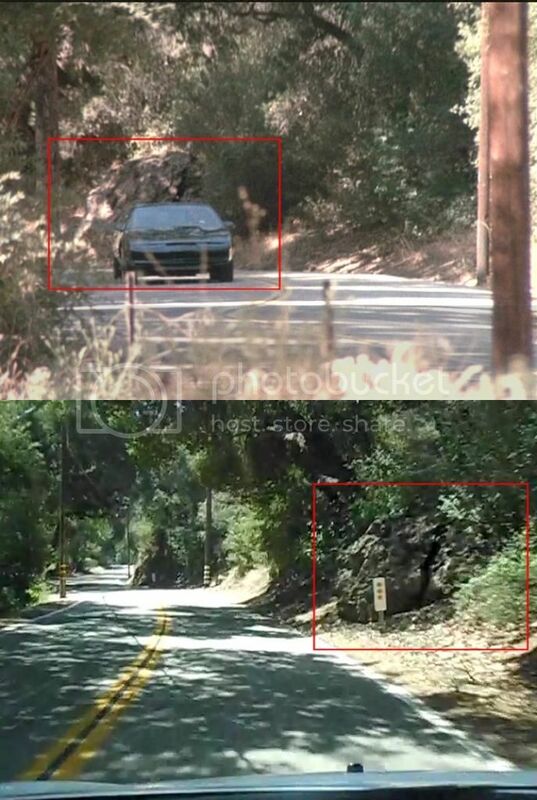 They were actually heading in the opposite direction of the next scene passing the 'White Rock' sign. 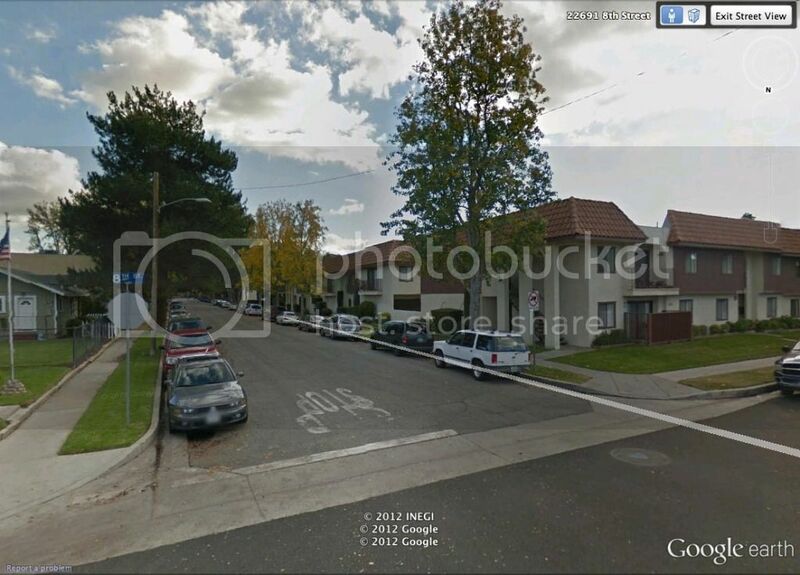 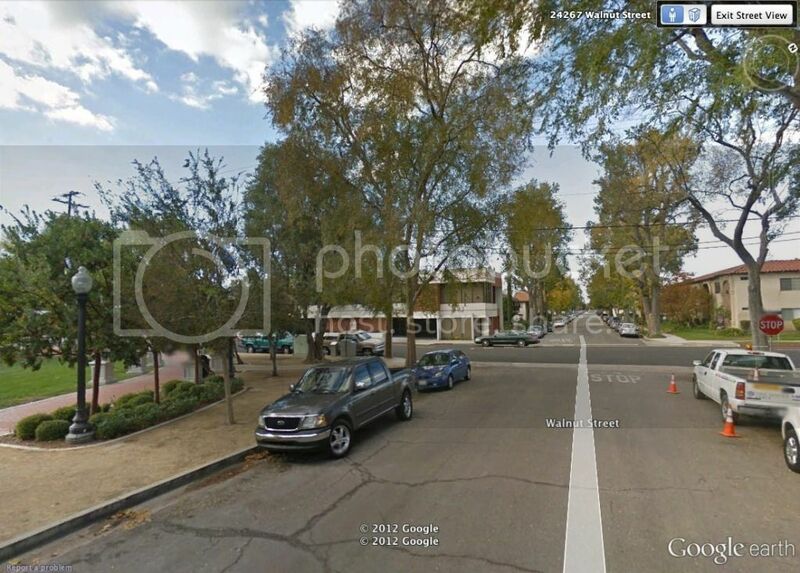 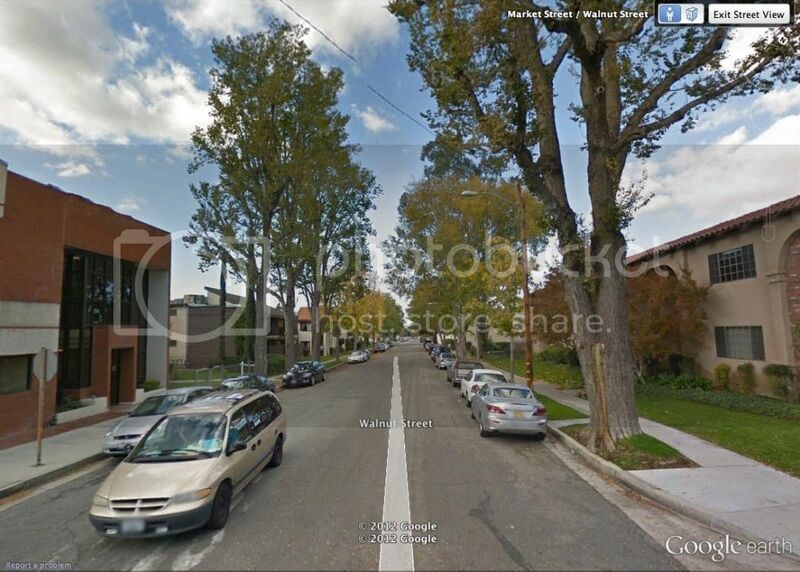 slightly different from the street view on Google Map. 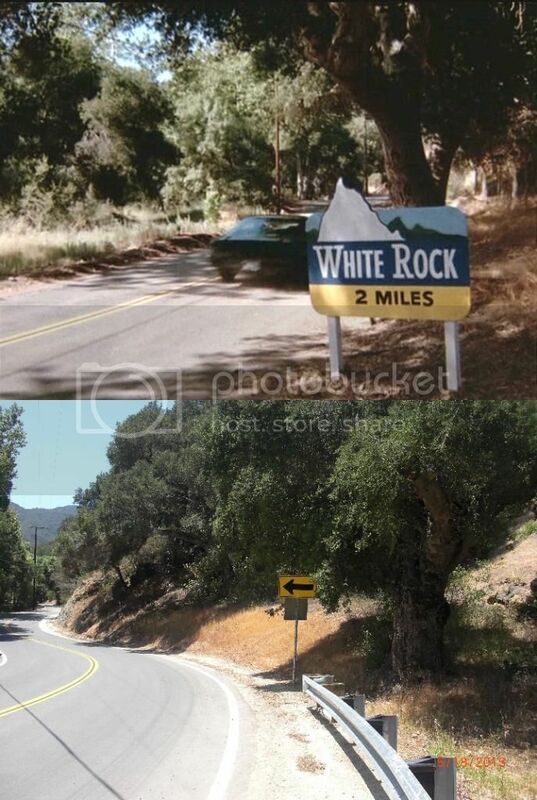 Note that this may not be the original tree behind the 'White Rock' sign. 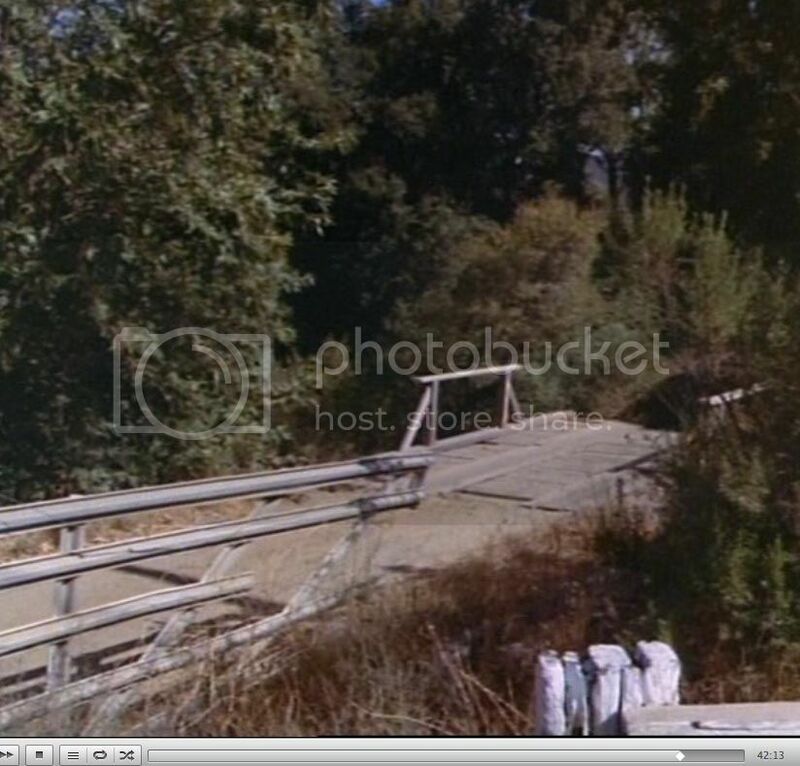 The narrow bridge in the chasing scene.